Filter Holdings offers an extensive line of standard and custom filter bags crafted from high quality felted and woven fabrics in a variety of weights, construction and finishes. 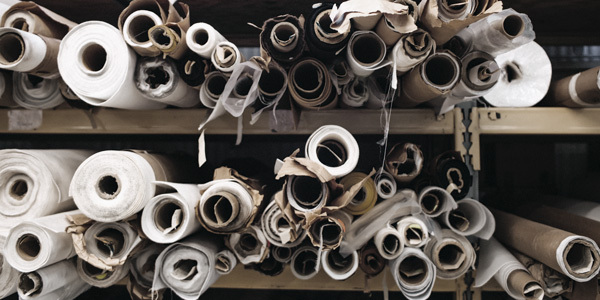 The availability of felted and woven filter fabrics with options for innovative surface treatments and coatings offer the widest range of choices available for industrial air, gas and liquid filtration. Depending on your application, you can choose from high quality felted or woven filter media with standard finishes for felted fabrics, standard finishes for fiberglass fabrics, static conductive fabrics, or static conductive fabrics with Unipore surface treatment. Solve complex filtration challenges by choosing high temperature fabrics or enhanced filter media that has been engineered for optimal performance, beneficial characteristics and extended filter bag service life through the use of innovative surface treatments and coatings including our SRC, MaxClad II and Unipore fabric surface treatments. 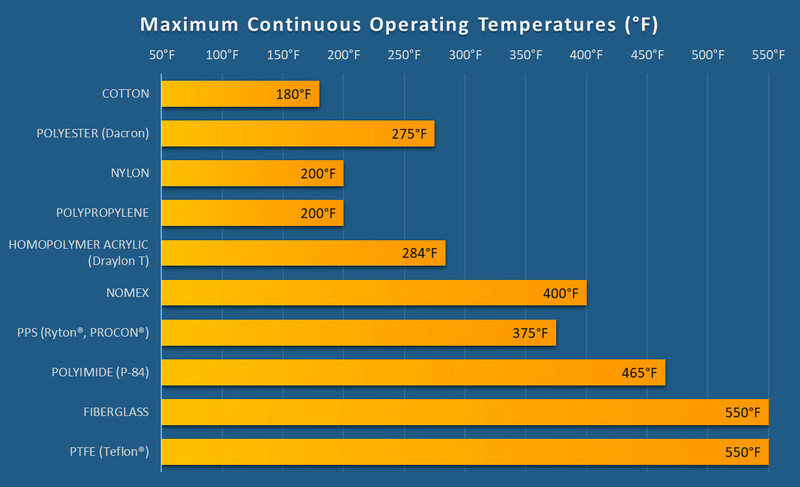 To match fabric options with applications, please refer to our fabric options, chemical resistance and maximum continuous operating temperature charts. For expert assistance, or if you have questions about our product line, please contact us to discuss your specific application, requirements and industrial operation filtration needs. POLYESTER (Dacron) Workhorse of the industry. Many styles. POLYPROPYLENE Chemical resistant. Good to 200°F. HOMOPOLYMER ACRYLIC (Draylon T) Abrasion and acid resistant. 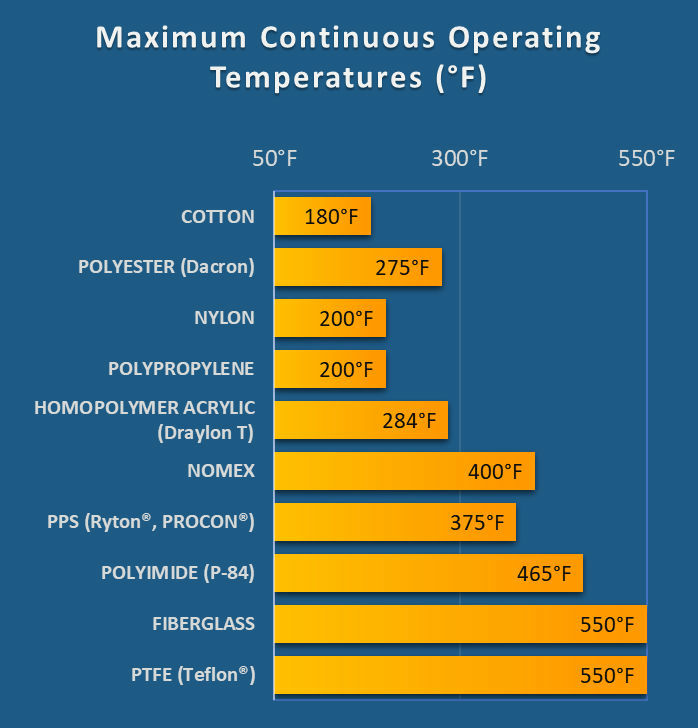 NOMEX® Most commonly used High Temp fabric (400°F). PPS (Ryton®, PROCON®) Resistant to chemicals, sensitive to oxygen. POLYIMIDE (P-84) Excellent efficiency and 465°F capability. FIBERGLASS Low cost High Temp fabric, good to 550°F. PTFE (Teflon®) Chemical resistance and 550°F capability. EXPANDED PTFE More efficient version of Teflon. POLYESTER (Dacron) Workhorse of industry. Lots of choices. NYLON Abrasion resistance. Limited choices. POLYPROPYLENE Chemical resistance to acids and alkali. 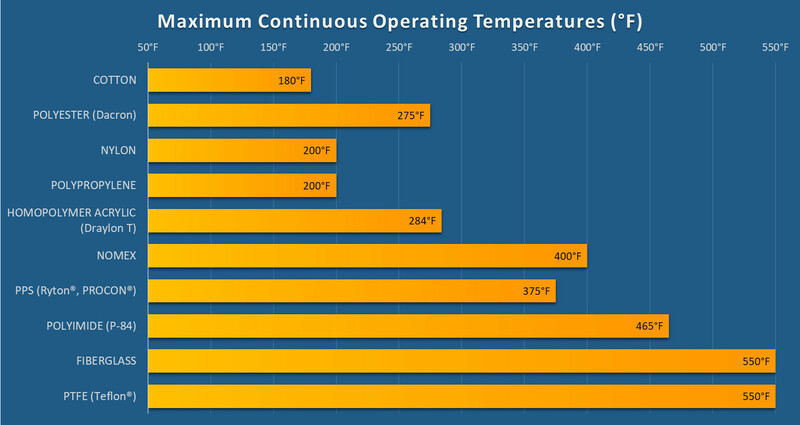 NOMEX® Most commonly used High Temp fabric (to 400°F). FIBERGLASS Variety of weights and finishes. Most used for boiler applications. Good to 550°F. EXPANDED PTFE The ultimate for gas or liquid filtration. Chemical resistant up to 550°F.